How does IIoT differ from IoT? What are IIoT’s potential benefits and risks? Get answers to these questions. Industrial IoT- The infrastructure around the world becomes more connected each day. We can thank the Industrial Internet of Things (IIoT) for this connectedness, which stretches far beyond fitness bands to connecting machines and devices in industries such as transportation, manufacturing, healthcare, and more. The potential remains high for IIoT, but so are the risks. Let’s break down the three basics you need to know about Industrial IoT and how it might help your Industry 4.0 initiatives. While IoT focuses on consumer devices, like smartphones and smart appliances, IIoT connects machines and devices in industries. Plus, more is at stake with IIoT deployments; system failures and downtime in IIoT can result in life-threatening or high-risk situations, say if a miner’s equipment stopped working while on the job, or a remote feeder missed scheduled animal feedings. 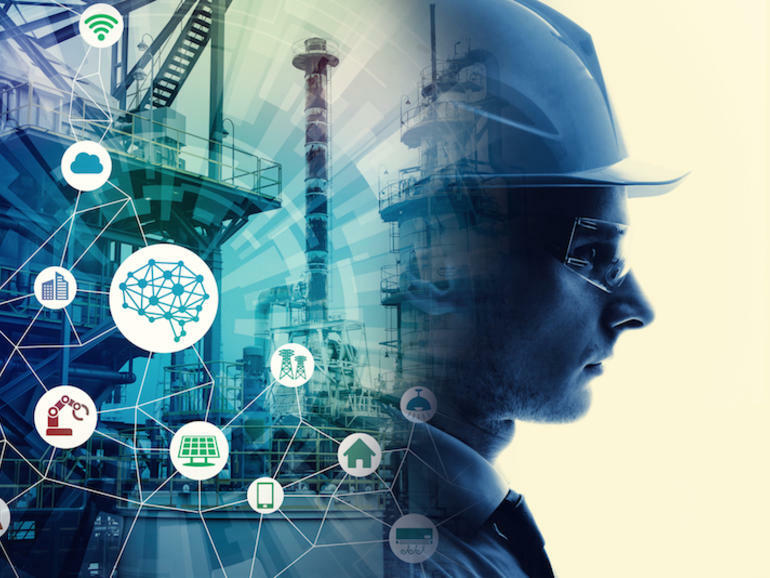 IIoT will ideally automate projects, optimize digital transformation goals and enable more production, efficiency, communication, and ultimately, solutions. In terms of environmental sustainability, IIoT brings an increase of applications for smart cities, smart farming, and smart factories. Expect to see more energy consumption optimization as energy companies use smart metering and smart grids. Remote health monitoring and equipment maintenance will enhance healthcare. Goods and transportation monitoring and connected logistics for freight transportation are made possible due to IIoT. IIoT is also used in security, government, aviation, defens, facility management, and more. Any new way of thinking and new technology introduces challenges, and IIoT is no exception. For IIoT deployments to work, industries must buy-in to high up-front costs for new hardware, software, and equipment and ensure smooth data integration with their legacy technology. Industries must also employ workers with a skill set that includes expertise in machine learning and data science. A lack of standardization is also a concern, and just like IoT, IIoT introduces numerous security vulnerabilities, which companies must prepare for ahead of implementation.